Lyrid Meteor and Milky Way Over a Mars-like Landscape. Take 2. 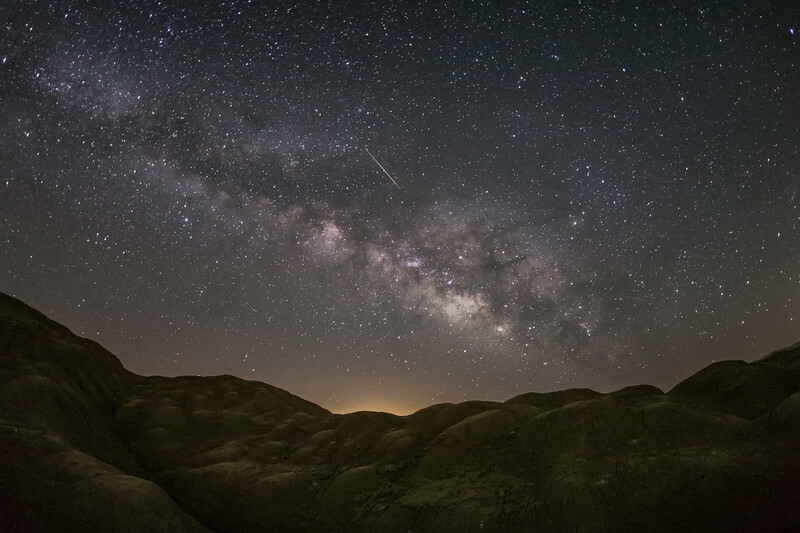 A Lyrid meteor and a nice and bright Milky Way over a Mars-like landscape in Anza-Borrego Desert State Park.